If you are already a member of the Hispanic National Bar Association (‘HNBA’) family, we wish to express our deepest gratitude for your invaluable support. Without your help, the pursuit of our noble and vital mission would not be possible. If you are new to our family, we welcome you! If you are interested in partnering with the HNBA, please download our Partnership Brochure to see an array of opportunities we have created for our prospective partners. The HNBA is a vibrant Association that represents the national interests of Latinx legal professionals and the rapidly growing Latinx community. For over forty years, we have added our voices to the voices of our partners, which include Fortune 100 corporations, branches of the U.S. military, governmental agencies, law firms of all of sizes, including the AM LAW 200, educational institutions, foundations, and vendors. Through a combination of advocacy, programs, networking events, and educational pipeline initiatives, the HNBA has helped generations of Latinx students and legal professionals succeed. We have also provided our partners with unique opportunities to showcase their products and services to larger audiences. Together, we have changed the face of the legal profession, and in the process, have improved the communities in which we live and work. Select programs are joint enterprises with the HNBA VIA Fund. The HNBA VIA Fund is a 501(c)3 nonprofit. Your contribution may qualify as a charitable deduction for federal income tax purposes. The deduction is limited to the excess of the contribution over the fair market value of any goods or services received in exchange for your contribution. Please consult your tax advisers or the IRS to determine whether your contribution is deductible. | 1 | Our membership is comprised of thousands of Latinx lawyers, law professors, students, legal professionals, state and federal judges, legislators, and bar affiliates operating across the country. | 2 | Our members work in the public and non-profit sectors, small, medium, and large law firms, and the corporate law departments and C-Suites of Fortune 500 companies. | 3 | More than just a bar group, as a national association of Latinx lawyers, the HNBA is uniquely positioned to influence and impact the lives of over 58 million Latinx individuals in the U.S.
| 4 | Our members are highly-educated, technology-savvy, upwardly-mobile, and culturally-aware. | 5 | By partnering with the HNBA, sponsors expand their reach to thousands of Latinx lawyers, increase brand recognition in the Latinx community, and influence a vibrant demographic that today has an estimated buying power in excess of $1.5 trillion dollars. 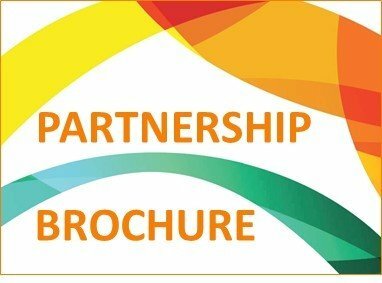 View the 2018-2019 Partnership Brochure to determine how we can work together. 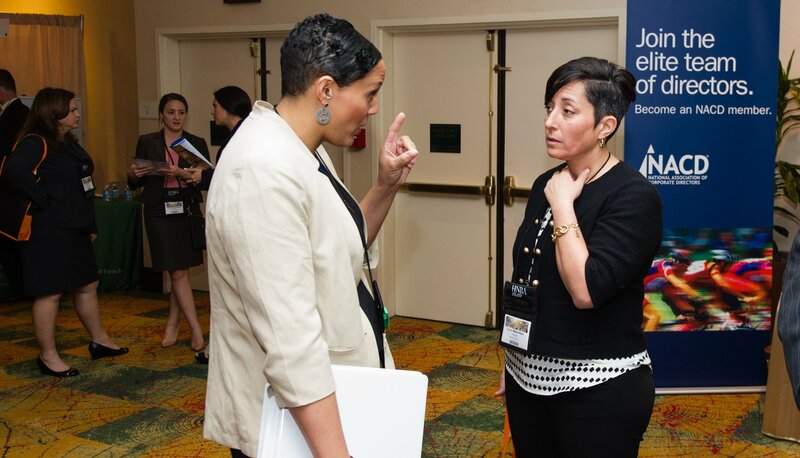 Corporate America finds value in partnering with the HNBA to deliver co-branded mentoring, educational, leadership and other programming to our members and the communities that we serve. 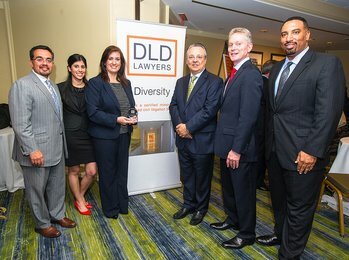 These strategic partnerships are delivering measurable results in meeting partners’ objectives, and highlight our strategic partners’ commitment to creating greater opportunities for Latinx lawyers and improving the lives of Latinx individuals in America. 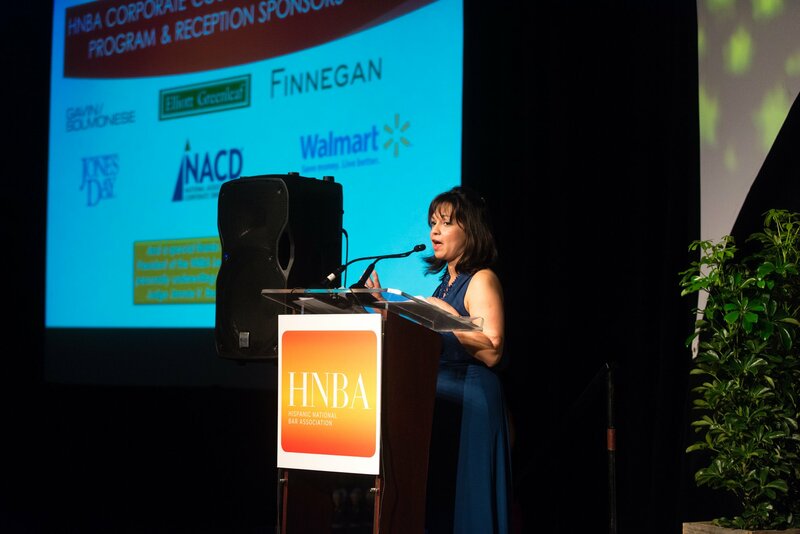 Recognizing that the HNBA and its partners are uniquely positioned to provide both legal and business assistance to Latinx solo practitioners and small law firm owners, the HNBA, in partnership with MassMutual, launched the Su Negocio Program in 2016. Numbering 58 million and accounting for ~18% of the U.S. population, the Latinx community is the fastest-growing ethnic group in the country, with a projected growth to 120 million (30% of population) by the year 2050. Latinx people are the fastest growing group of small business owners and entrepreneurs, with a growth rate of 15 times faster than any other population demographic. As of 2016, Latinx individuals have a purchasing power of $1.5 trillion dollars (the largest of all ethnic minorities), which is estimated to reach $1.7 trillion by 2020. Additionally, one in every four school-age children (25%) in the U.S. is Hispanic; and since the year 2000, Hispanic job gains have accounted for 66% of the total U.S. job growth. Despite our growth, Latinx people lag behind other groups in terms of information and access to tools that will assist them in the growth, sustainability and/or succession planning of their financial enterprises. This is where the Su Negocio Program helps our members and the members of our community fill the gaps. Approximately 75% of Latinx attorneys practice in either solo or small law firm environments, and the Su Negocio Program helps them succeed at all stages of formation, funding, and expansion by providing targeted information and resources! The IPLI is a trail-blazing and bold partnership with corporate and law firm partners designed to increase the number of Latinx lawyers practicing intellectual property law in the U.S. (currently at <2%). Launched in 2013, in partnership with Microsoft, IPLI is an intensive, immersion program for law students interested in practicing IP law, including patents, copyrights, trade secrets and trademarks. Admission to the program is highly competitive, as ~30 Latinx law students are selected to participate each year, from applicants across the U.S. IPLI scholars are flown to Washington, DC, for a full week of substantive instruction from top IP law practitioners, federal judges and government officials. The program includes visits to various government agencies and courts to observe, first-hand, U.S. IP institutions at work. It also offers scholars the opportunity to meet leading members of the IP legal community who serve as mentors and provide pathways for future job placement. To date, 150 scholars have completed the IPLI, and 75% of those who have graduated from law school and passed the bar are working in IP-related positions. In 2018, the IPLI expanded its curriculum to include a substantive “Tech Law” track, and additional corporate participants. Without a doubt, U.S. Latinx individuals are a significant cultural and economic force. Our contributions are integral to the country’s development and economic health. Yet even as we grow in influence and power, we too often neglect to protect ourselves and our families. Taking care of family is part of who we are as Latinx individuals, but are we maximizing our resources so we take care of today’s living while also cushioning tomorrow? If something happened, would our loved ones be in a tough spot without income? What can we do to safeguard those who are most important to us? In partnership with Prudential, program participants now have access to a variety of educational materials and financial tools to achieve overall financial wellness for themselves, their families, and even future generations. This important program, called Su Dinero, is being offered in selected cities across the country and during the HNBA Corporate Counsel and Annual Convention. The curriculum focuses on balancing savings and spending; on living well today, while also planning for the future. Part of the Su Comunidad programs and initiatives, this program is another way to provide education and strategies that may promote the economic empowerment of our members and communities. What’s your financial wellness score? Whether trying to pay off student loans or planning for retirement, we could all use some help in getting our financial houses in order. HNBA Strategic Partner Prudential has also helped us create the online HNBA Su Dinero Financial Wellness Portal, which provides a number of tools to help you do just that, no matter what stage you’re at in your career! Answer 20 simple questions and start planning for your future! Once your profile is created, you’ll be able to set your goals, customize your content and track your progress! In 2008, the HNBA launched the HNBA Commission on the Status of Latinas in the Legal Profession (now officially the HNBA Latina Commission). 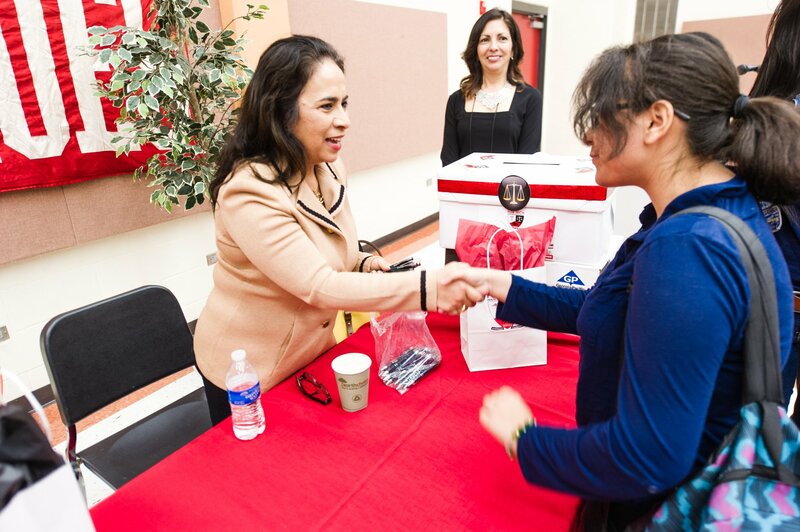 The Latina Commission was created with the goal of bridging the achievement gap for Latinas in the legal profession. The Latina Commission is dedicated to promoting the advancement and development of Latina women through a series of educational, leadership, mentoring, and training programs that implement the recommendations of the national studies commissioned by the HNBA: “Few and Far Between: The Reality of Latina Lawyers” and “La Voz de la Abogada Latina: Challenges and Rewards in Serving the Public Interest.” In 2013, the HNBA Latina Commission entered into an exclusive partnership with Wal-Mart Stores, Inc. to further the work and initiatives of the HNBA Latina Commission. The HNBA partners with various companies to deliver a high quality and much-needed slate of benefits to our members, including legal vendor services, preferred rates and discounts, and other goods and services, often as the preferred “HNBA provider” for the goods or services offered. 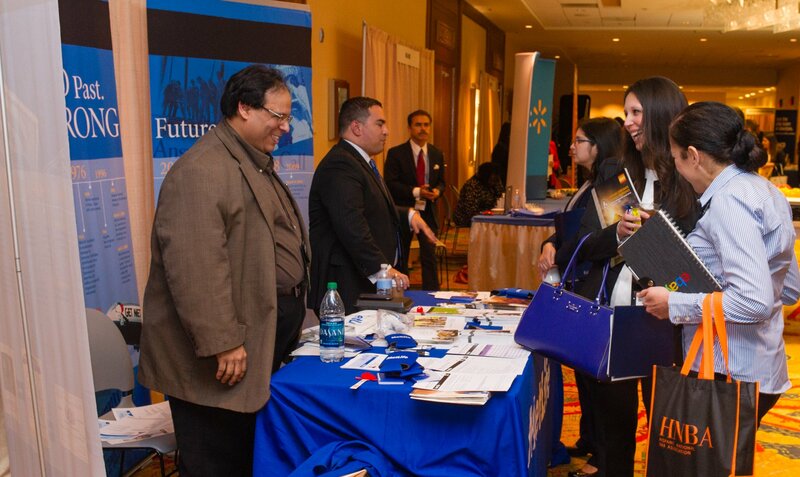 By partnering with the HNBA as a Preferred Benefits Provider, you will achieve a high-level of brand recognition and brand loyalty amongst an influential and upwardly-mobile segment of the Latinx market.